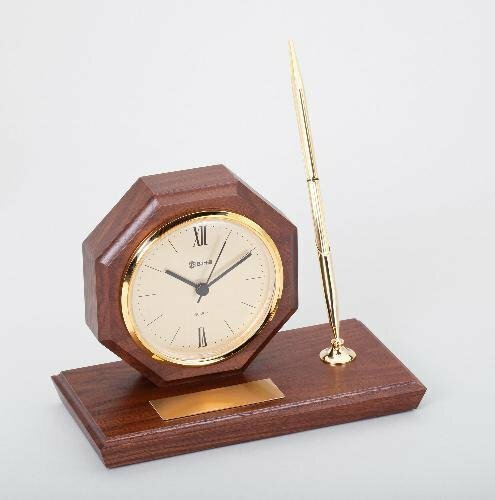 Genuine walnut series desk clock with 1 pen. Individually boxed. 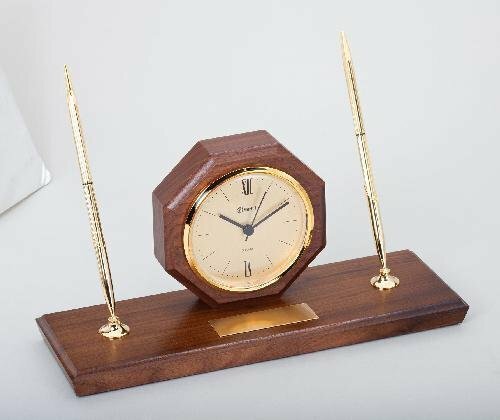 Genuine walnut series desk clock with 2 pens. Individually boxed. Gavel plaque awards are an excellent choice for legal award presentations, law firm awards or even school debate awards. You be the judge on who you present a gavel plaque award to. Genuine walnut gavel plaque with gavel and black engraving plate with gold Florentine border. Individually boxed.